As WGLG enters it’s last quarter, we wanted to create the space and time for facilitators to process their years of hard work and share their stories with us. Facilitators are an integral part of each country’s campaign, as they serve as the bridge to the communities we serve. Facilitators deliver direct services to the communities, including facilitating film screenings and discussions with community members, and share with us the changes that are occurring in those communities. Each Country Coordinator in Kenya, India, Peru, Bangladesh, and Jordan held reflection sessions for facilitators in November to discuss how the campaign has changed their community and impacted their lives. Reflection means, “bending back”, and researchers Kraft & Kielsmeier stated that an experience without reflection is nothing more than an experience. Reflection involves remembering past experiences, seeking connections and meaning, and applying them to future experiences. “…we have seen a lot more women participating in the just concluded general election as compared to that of 2013…Men have realized how powerful women are and have changed their stance on women’s leadership. They have started appreciating the great abilities that women possess and have started supporting their ambitions”, exclaimed Beldine, a facilitator from partner organization, Sauti ya Wanawake in Kenya. “Fathers have become more sensitive. Now boys have started approaching me about social change in their community… they want to change something about their community”, stated Aadarsh, a facilitator from the Hero Academy in India. “I had the opportunity to influence, not only my classmates, or neighbors, but also my own family…I try to teach them everything I learnt. Participating in this Campaign made me a better person, with the ability to help others who need me”, 15-year-old Peruvian activist and facilitator, Lesley stated. “The mentality of women and girls has changed…now they all know that child marriage is a barrier”, stated Asir Uddin, a facilitator in Bangladesh. “A woman approached me in the end of a third screening and she thanked me for all the information that she became aware of. She said she wanted to change things in her family so her daughters can have better lives. She also asked me to help contact family protection unit because one of her daughters had an abusive husband and she felt it’s about time to help her and she shouldn’t remain silent”, Jordan film facilitator, Basima explained from partner organization, Tafileh. “The major change I have seen in our community has to do with teachers’ commitment. I feel several of them now realize the importance they have in children’s’ life and future…they have gained the ability to guide conversations around topics that were too difficult in the past, like teen pregnancy and sexuality”, explained Andres, 33-year-old Peruvian teacher and facilitator. “Men and boys started talking about the rights and freedom of women and girls in their lives. Using the 3-film model, women started reflecting deeply on deep-rooted patriarchal issues, and they started thinking about their rights”, stated Irfan, Hero Academy participant and 3-film model facilitator in India. Bangladesh Country Coordinator, Mahmud Hasan, speaks with a table of facilitators. Although the core structure of reflection sessions remained consistent within each country, the number of sessions, facilitators participating, and reflection mediums varied in each country. The mediums included personal journaling and small and group discussion. 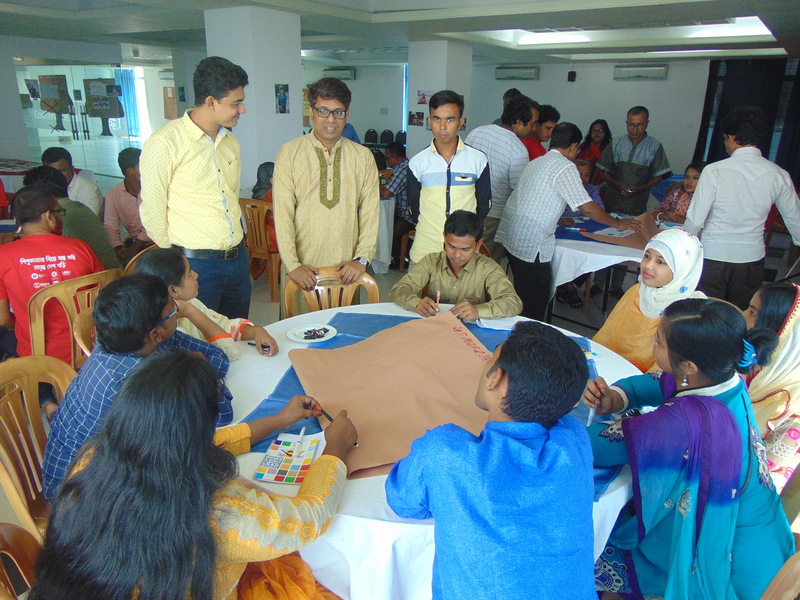 In Bangladesh, one weekend reflection session was held for 35 facilitators from all regions in Bangladesh who were involved in the campaign for over 2 years. 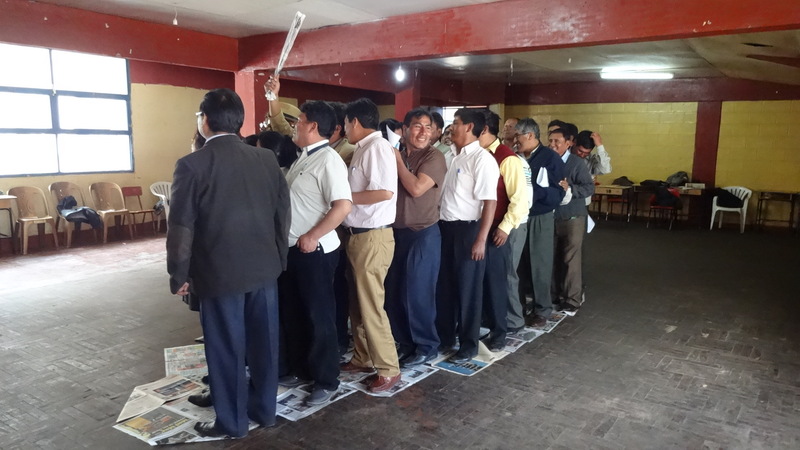 In Peru, 2 reflection sessions were held in two major cities: Puno and Pucallpa, totaling 35 facilitators. In Kenya, there were 18 reflection sessions held in different counties around the country, including Nairobi, Edloret, Mobasa and Kilifi, with 1-8 facilitators in each session. In Jordan, there were 3 reflections sessions with 5-7 facilitators in each session, who worked with the campaign for over a year. 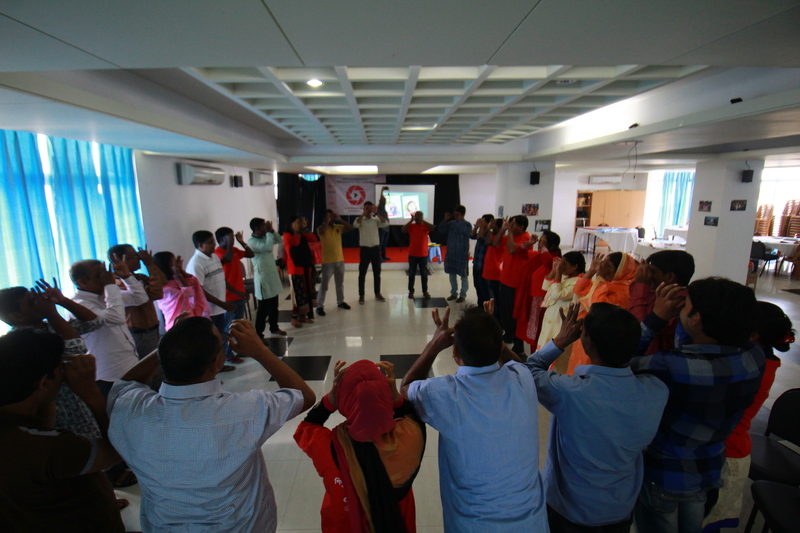 And in India, there was one reflection session held in New Delhi, with a total of 12 facilitators who have been a part of the campaign for over 3 years. Throughout all five countries, facilitators shared stories of change- men and boys becoming feminist activists and supporters of gender equality, women and girls believing in themselves, and community members lifting each other up to become better global citizens. Facilitators in Peru joyfully engage in a group activity before exchanging stories of change. 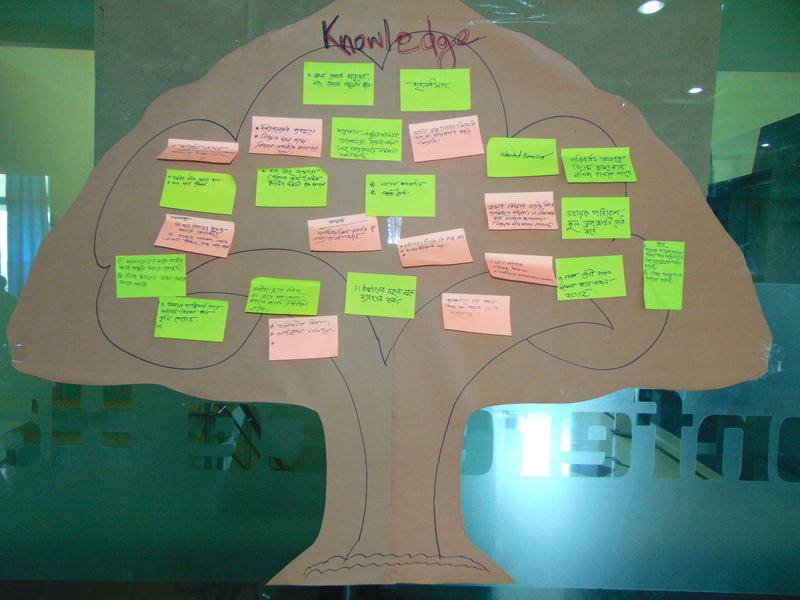 Facilitators in Bangladesh created a “Tree of Knowledge” of things they have gained as facilitators.